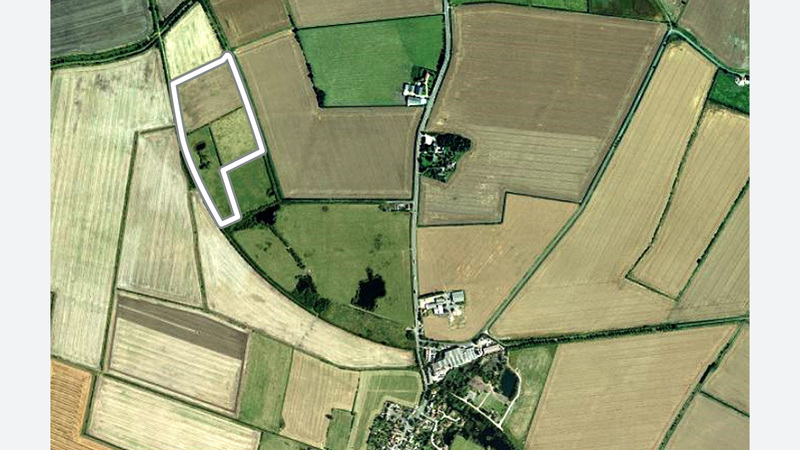 Why buy land for sale in Haddenham? Approximately 16 acres of flat grazing land for sale with potential to convert into good sized paddocks. The land is available as a whole or in 3 separate lots. It is securely bordered by mature hedgerows and access is available off North Fen Drove, a well-maintained track off Sutton Road. The site is situated in the village of Haddenham, a small village set in the peaceful countryside of east Cambridgeshire. The area boasts flat farmland and a cluster of houses with easy access to Cambridge, Ely and St Ives. Haddenham has a strong equestrian interest with a number of riding schools and equestrian centres in the local area. The nearby racecourses at Newmarket and Cottenham also attract the horse enthusiasts. The land has direct vehicular and pedestrian access to the site via North Fen Drove, a well-maintained track accessible off Sutton Road. Not looking for land for sale in Haddenham? The site is located in the rural setting of Haddenham, a village located to the north of Cambridge and to the South West of Ely. Cambridge can be accessed within 12 miles on quiet roads from the village onto the A10 motorway. Further motorways including the M11, A11 and A14 are all easily accessible within a short driving distance. The nearest city is Ely which homes a cathedral and many historic buildings boosting its appeal to tourists. Cambridge is also a city known as a tourist attraction and is best known as homing one of the world’s most prestigious universities. London Stanstead Airport is less than an hour away and is the third busiest airport in the UK. The local area is home to a number of riding schools and equestrian centres, the nearest of which is just over 2 miles from the site. The interest in horses within the local area is strong. The village of Cottenham is less than 6 miles from the site and is home to its own racecourse with excellent facilities for both horse owners and riders. The larger towns of Newmarket and Huntingdon are renown for their horse riding facilities and can be accessed within 15 miles. Newmarket is home to the largest racecourse training centre in the UK and to Tattersalls; the famous auctioneers whose sales are attended by big names in the racing business. It is also home to the National Horseracing Museum and an Equine Centre for horse health. To arrange a site visit or to buy the land for sale in Haddenham; please call 01727 701330 or email enquiries@vantageland.co.uk.